We’d love your help. 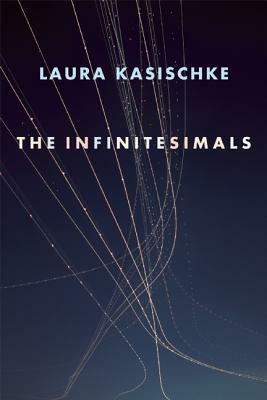 Let us know what’s wrong with this preview of The Infinitesimals by Laura Kasischke. The Infinitesimals stares directly at illness and death, employing the same highly evocative and symbolic style that earned Laura Kasischke the 2012 National Book Critics Circle Award for poetry. Drawing upon her own experiences with cancer, and the lives and deaths of loved ones, Kasischke's new work commands a lyrical and dark intensity. Laura Kasischke is the author of eight collections of poetry and seven novels. She teaches at the University of Michigan and lives in Ann Arbor, Michigan. To ask other readers questions about The Infinitesimals, please sign up. Absence-haunted, The Infinitesimals explores a dark domesticity in sonically-carved, spooky, jumpy takes. Kasischke is the master of a precise lyric shorthand, of underplayed off-rhyme. She blows up moments of breaking emotional revelation and unlikely contact in sharp, indelible images. This was more uneven than Kasischke's wonderful Space, In Chains; but, it was a still a joy to read and there are plenty of jewels throughout. One of Kasischke's most endearing characteristics as a poet is her worldview---she's constantly amazed by the brilliance of our stupidity and the rock dumb walk of our genius. We are the infinitesimals; but so are our joys and sorrows, our monuments to our "fascists" and the "cornflakes in our bowls." These lines come from one of my favorite poems in the c This was more uneven than Kasischke's wonderful Space, In Chains; but, it was a still a joy to read and there are plenty of jewels throughout. We are the infinitesimals; but so are our joys and sorrows, our monuments to our "fascists" and the "cornflakes in our bowls." These lines come from one of my favorite poems in the collection, Ivan, in which Kasischke describes the idiot wisdom of "her" rooster Ivan: "He rules the world./He stands up on a bucket to assist/the sun in its path." He will not attend funerals, Kasischke tells us, nor will he attend to the daily striving that makes us great and full of terror. But he will crow, as Kasischke does, despite our "absurd" "crisp black clothes." We are, as Kasischke suggests, dressing up for our funerals...for our "heads on satin pillows in a box" ("Oblivion"). But this is not bleakness. Because these infinitesimals give us, together, hope and life and meaning, and for that, for the "vial of perfume poured all/over the whole of creation-/perfume extracted from the sky. Like no grammar" ("May Morning") Kasischke thanks God. Because when we realize that our memories, our "secret passwords," "family jokes," and "corn on the cob and paper plates" are nodes which connect us together, "nothing else can harm" us ("Door"). I'll be re-reading this one for a long time. So far it feels to me a bit more elusive/uneven than Space, in Chains, but there are such knockout poems in this book--"Barbed Wire," "Boy in Park," "Midnight"--that feel like game-changers. Intense symbolic work, whose strangeness and radical recognition of loss sneaks up on you, I think because of the often disarming diction. A really stirring, important book of poems. I enjoyed these poems very much. The author’s use of metaphor, image, language, is powerful and challenging and thoughtful. There is so much here that is so rich. Her experience as a parent, as a human being, as a daughter, and as a neighbor - is all touched on here. Over and over again she returns to themes in new and fresh ways which opened my eyes to new ways of seeing. Beautiful work. Kasischke presses hard on emotionally vivid cliches in these poems--often the effect is poignant and surprising, but occasionally it did a bit less for me. Many of the poems, however, are gutting-level feelings inspiration, and her ability to craft astonishing and totally idiosyncratic images remains so good that it makes me sad. Kasischke's poetry takes a little getting used to, but it's pretty cool once you get into it. Her book tells a story, so the more you read, the more you understand. It's vague at first, but the story becomes clear in a very alluring way. This book of poems is beautiful in everyway. The imagery is evocative and can speak to anybody. The emotions are so vivid you can feel each poems as if they were your own. I started off loving this book, then I went away from reading it for a little bit and couldn't get into it. I eventually got back into it, all it took was me just sitting down and reading it. Taking the time to slow down and savor it. I am going to admit that this poetry is a little weird and odd, but in the best way. I think Laura's style is really unique. She is able to write such beautiful and lovely poems, her writing is really something special that touches on personal themes. Very refreshi I started off loving this book, then I went away from reading it for a little bit and couldn't get into it. I eventually got back into it, all it took was me just sitting down and reading it. Taking the time to slow down and savor it. I am going to admit that this poetry is a little weird and odd, but in the best way. I think Laura's style is really unique. She is able to write such beautiful and lovely poems, her writing is really something special that touches on personal themes. Very refreshing and honest and enjoyable. Her poems really paint a concise picture of what she is feeling or what is going on, but in an abstract way. They are little pieces of feeling or story. Not all these poems are straight-forward and I liked that. I was able to relate to some of the emotions depicted in this collection. She was able to make me feel as if I was in a thriller and someone was going to jump out and scare me at any time, feeling on-edge while reading a few of these and often creeped-out a bit. Laura made me feel more than that. I felt that she had a lot of loss and this book really made me emphasize with her and it felt like she had to go through a lot in order to write these poems. I felt her strength and her weakness. I'm glad that these weren't all love poems and that they varied in theme and event. I liked the variety of things that Laura wrote about. She seemed like she had a lot of different experiences in her life. Even though, I couldn't relate to some of the poems, I appreciated them for their value and their beauty. -The Common Cold: Interesting metaphor and use of language. -Door: I felt growth from Laura as a person and that she really changed. I loved this collection by Kasischke even more than Space, in Chains. I’m impressed when a poet leaps my wall of resistance to poems I don’t understand. Although she did lose me at times, I still felt something – much like a great singer can sing in a language you don’t know and still make you feel the intention of the song. I can enjoy getting lost in surrealism, dreams, or fantasy, but not battling my way through erudition. These poems are packed with big emotion: fear of the poet’s cancer, gr I loved this collection by Kasischke even more than Space, in Chains. I’m impressed when a poet leaps my wall of resistance to poems I don’t understand. Although she did lose me at times, I still felt something – much like a great singer can sing in a language you don’t know and still make you feel the intention of the song. I can enjoy getting lost in surrealism, dreams, or fantasy, but not battling my way through erudition. These poems are packed with big emotion: fear of the poet’s cancer, grief from family losses, the joy of discovering that every pleasure is more joyful when you recognize the fragility of life. Worriers (I’m one) understand how our imagined to dos and guilt over small misdeeds can murder peace of mind. It’s brilliant how she begins “To Do” with dread before settling into the everyday regrets we can all identify with. In his lap, his good dark hood. I also love how the line break in line one mimics the action by unzipping the sentence. I'm sure this says more about me than about Laura Kasischke, but I never really became engaged with most of these poems. They frequently made me feel at a loss, made me feel that I never quite grasped the point. As the saying goes, there's no accounting for taste! it took me a while to get into this collection, but once i was about half way in i was in love. Though it was admittedly difficult for me to understand at some points, I think that was largely the nature of the collection. Fresh and vivid language and form. I was torn between giving this a 3 or 4. A handful of poems and lines resonated with me but most did not. And such a subpar ending. It could've been a much punchier, shorter collection. It lacked a more critical editor. 9) The Cur I was torn between giving this a 3 or 4. A handful of poems and lines resonated with me but most did not. And such a subpar ending. It could've been a much punchier, shorter collection. It lacked a more critical editor. Laura Kasischke (born 1961) is an American fiction writer and American poet with poetry awards and multiple well reviewed works of fiction. Her work has received the Juniper Prize, the Alice Fay di Castagnola Award from the Poetry Society of America, the Pushcart Prize, the Elmer Holmes Bobst Award for Emerging Writers, and the Beatrice Hawley Award. She is the recipient of two fellowships from th Laura Kasischke (born 1961) is an American fiction writer and American poet with poetry awards and multiple well reviewed works of fiction. Her work has received the Juniper Prize, the Alice Fay di Castagnola Award from the Poetry Society of America, the Pushcart Prize, the Elmer Holmes Bobst Award for Emerging Writers, and the Beatrice Hawley Award. She is the recipient of two fellowships from the National Endowment for the Arts, as well as several Pushcart Prizes. Her novel The Life Before Her Eyes is the basis for the film of the same name, directed by Vadim Perelman, and starring Uma Thurman and Evan Rachel Wood. Kasischke's work is particularly well-received in France, where she is widely read in translation. Her novel A moi pour toujours (Be Mine) was published by Christian Bourgois, and was a national best seller.